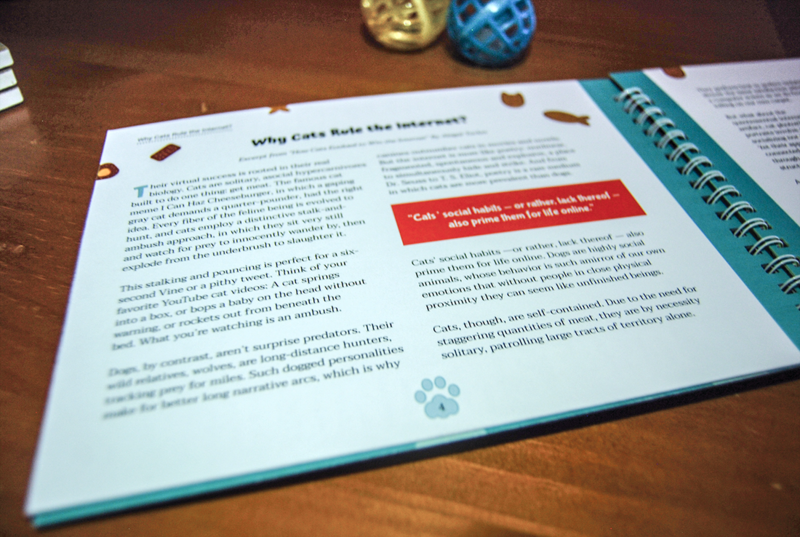 ​A fun coffee table read about how cats might rule the internet. 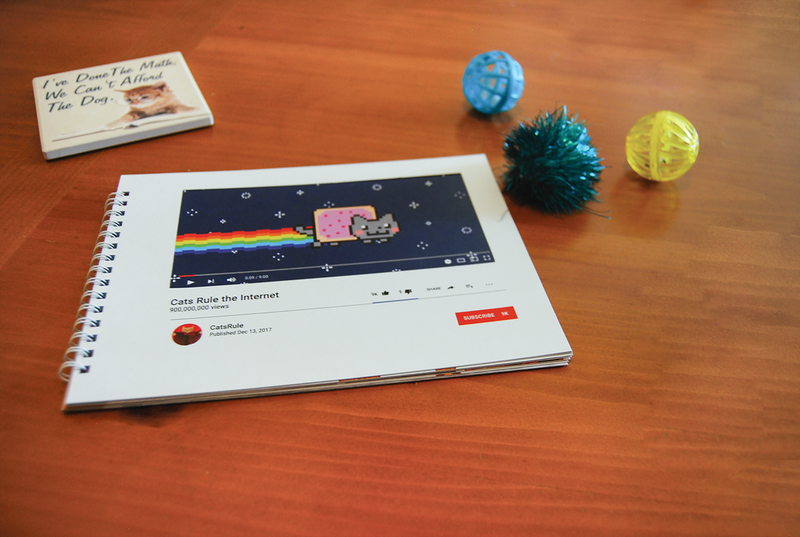 It talks about why, how and who of the cats really captivate the internet with their presence. 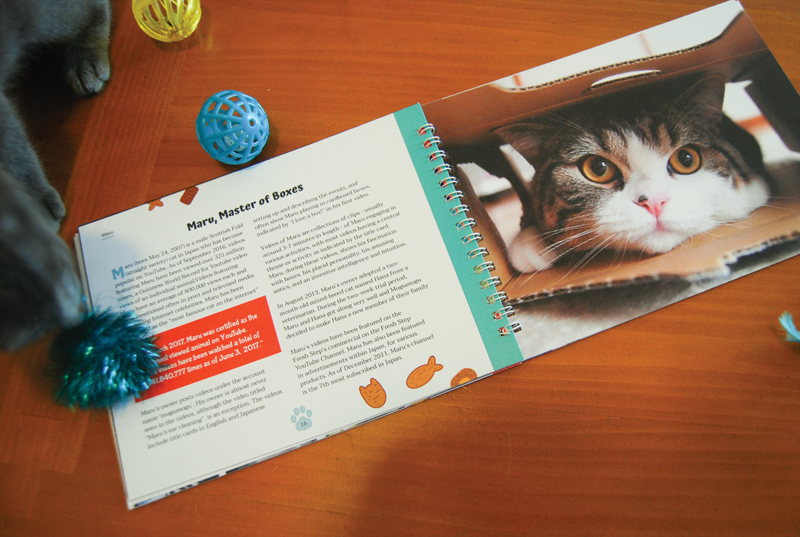 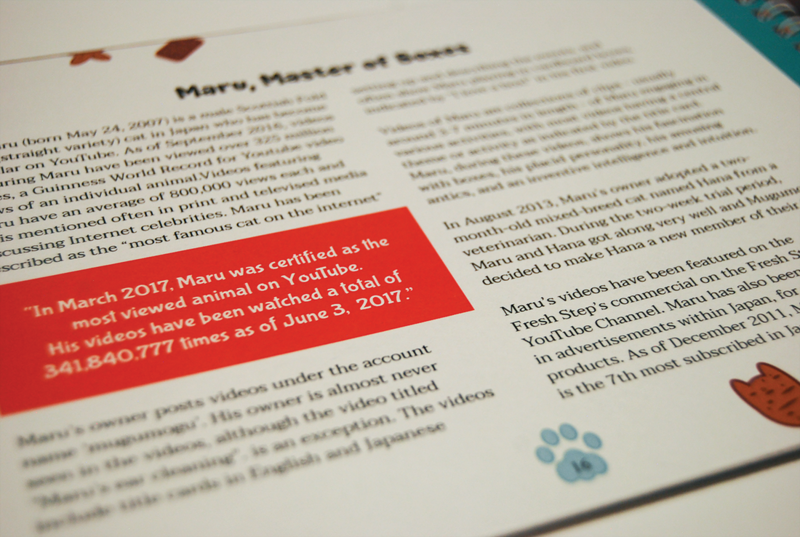 The colorful designs and pictures just demonstrate how much integrated these felines are with the culture that is “the internet.”​ The fun yet informative layout of the book was designed to entertain whoever decided to pick up the book and give them a sense of playfulness, and be eye catching with the pops of color based on cat toys.